Public sector banks should disclose details of cases pertaining to persons and establishments whose bad debts of over Rs 100 crore have been written off, the Delhi High Court has held. This disclosure involves an element of public interest and taxpayers have a right to know the manner in which state- run banks sanctioned them, Justice Rajiv Shakdher said. Prima facie, in my view, this information may have to be disclosed," he said. The court's order came on a plea filed by State Bank of India (SBI) against a January 20 order of the Central Information Commission (CIC) asking the bank to supply to RTI applicant Raju Vazhakkala information regarding total non-performing assets (NPAs) written off between 2004 and 2013. The bank contended that it has a fiduciary relationship with the account holders and the information should be exempted from disclosure under Section 8(1)(e) of the RTI Act. It also submitted that Section 44 of the SBI Act 1955 also prohibits disclosure of customer's information to any third party. The judge brushed aside SBI's contention and observed, "I have come to this prima facie conclusion is this: the petitioner (SBI) is undoubtedly a nationalised bank, which on its own is showing written off as NPAs, its loan accounts having outstanding of Rs 100 crore or more." "The sheer extent of the write-off would, in my view, perhaps, inject an element of public interest in the matter, which is the exception provided for in Section 8(1)(e) of the RTI Act, 2005," the court added. It also said this "matter needs further examination" and issued notice to Mr Vazhakkala, a Kochi resident. The court also asked the RTI applicant to file counter affidavit within four weeks. "Rejoinder, if any, be filed before the next date of hearing. List on September 2, 2015," the court said. Mr Vazhakkala in his plea before CIC had contended that he has sought information in public interest and the disclosure of the names of individuals and establishments would deter them from availing the loan from the other banks due to their past defaults. The commission had directed the SBI to provide the names, address of the individuals and establishments and amounts against them which were written off. The common practice of lease deeds (including rental agreements) between property owners and tenants for 11 months to avoid registering the deed is not the right thing to do. The high court of Karnataka has held that deeds where the term of the lease stated does not exceed one year alaso have to be registered. Abdul Rasheed, a tailor and tenant of Srinivas, a retired district judge, approached the HC against a lower court order that refused to accept as evidence four unregistered lease deeds. Justice HG Ramesh probed the question “Whether a lease deed, where the term of lease stated therein does not exceed one year, requires to be registered under the Registration Act, 1908”. Section 107 of the Act says, “ A lease of immovable property from year to year, or for any term exceeding one year or reserving a yearly rent, can be made only by a registered instrument.” However, the HC order stressed the second paragraph of the section 107 which says, “All other leases of immovable property may be made either by a registered instrument or by oral agreement accompanied by delivery of possession.”Section 49 of the Act says that documents that need to be registered but are not cannot “be received as evidence of any transaction affecting such property.”The court held that the second paragraph of section makes it mandatory for lease deeds less than one year to be registered if they are not just oral. Therefore under section 49, they become inadmissible in court if not registered. However, the court gave liberty to Rasheed to approach the trial court with the same documents specifically stating that they are for ‘collateral purpose’ only. Therefore unregistered lease agreements can be used only as collaborative evidence in court. The order renders most rental agreements invalid as evidence in court ifa dispute arises between the lessor and lessee. Section 109 of the same Act empowers the revenue authorities to allow buying a piece of farmland for purposes like running an educational institution or to set up an industry.But the entity concerned must first apply to the Deputy Commissioner asking for exemption.An institution or a society can buy land without seeking exemption under Section 109 with prior government approval. The Deputy Commissioner said, he has the authority to permit purchase of land for educational institutions. This book is a guide and reference book, for the benefit of those engaged in buying and selling, the students of law and the people at large. This book is unique in as much as that it covers important and useful topics for information and guidance of investors.This book elaborately deals with the intricacies involved in buying a property and it takes the readers who may be a layman, step by step in various procedures involved in buying a property. Purchase of flats/apartments is an altogether different transaction from that of purchase of an independent house. This book is a comprehensive one and deals in detail the property laws, taxation selection of a good builder, the Karnataka Apartment Ownership Act 1972. The Apartment Ownership Association Bye-laws etc., in a nutshell this book is a compendium for the purchase of flats/apartments,which deals with all the aspects concerning the Apartments/Flats in a comprehensive and simple manner. The laws governing immovable property transactions are complex. There is a wide range of citations facing wider range of problems pertaining to property transactions. This book is aimed at making the things simpler for the common man. It serves as a useful guide for those who have doubt about a particular problem and they can find answers to their doubts. This is in question and answers form and presents the property laws in simple understandable language, while dealing with the general areas of interest for the lay person. Shri Selvakumar is the editor of Real Estate Reporter, a comprehensive monthly magazine publishing the topics of public interest concerning the property developments in Bangalore and also in the Country for over a decade uninterruptedly. It has been found to be useful by the General Public, Developers, Housing Finance Institutions, Advocates, Real Estate Agents, Property Consultants, Architects and Civil Engineers, for updating their knowledge in the property matters. In an important judgement, the Hon’ble Supreme Court of India, has ruled that the Property once gifted to minor children by the parents cannot be revoked by them at a later stage even on the plea that the children did not expressly accepted the gift. Looking to the details of the case, it can be found that, in 1975, one Devayani of Mayyanadcherry in the State of Kerala executed a registered Gift deed in favour of her then 16 year old son and minor daughter giving them one-half each of the landed property inherited by her from her father. However, in 2000 i.e., after 25 years, she executed a cancellation deed nullifying the Gift deed executed by her in the year 1975; and there after executed a WILL bequeathing the entire property in favor of her daughter. When the matter was contested, the Lower Court dismissed the suit filed by the son Sri K. Balakrishnan, claiming title to the suit property on the ground that the done was a minor at the time of execution of the gift deed and hat no one has accepted the gift on her behalf. Even though the District Court took a view contrary to the Trial Court’s view, the Hon’ble High Court upheld the earlier verdict. Referring to the case in hand, the Bench of the Hon’ble Supreme Court further held that “the knowledge of the gift deed to both the parents as natural guardians and the done (to whom property was gifted) was sufficient to indicate acceptance of the gift by the minor himself or on his behalf by the parents. The Hon’ble Justice also held that the said gift deed was revoked by the mother much after its execution and by that time, the done had become major and that she never repudiated the gift. Khatha can be got transferred from the Vendor’s name to the Purchaser’s name upon the Registration of Conveyance Deed by following the prescribed procedure. Applications for Khatha Transfer may be filed in Asst. Revenue Officer’s Office along with the documents mentioned in the Sarala Khatha Scheme Book. The Sarala Khatha Scheme Book gives all the details about the services of the Revenue Department, documents to be filed, fees to be paid, schedule of time for the services and also the rates for assessment of property tax under the self-assessment scheme. Documents to be enclosed to the application are the same as for new Khatha Registration along with up-to-date tax paid receipts. Purchaser of such property is liable to pay 2 percent of Stamp Duty as Khatha Transfer Fees. Property tax can be paid in two annual installments. The property for the first half year will have to be paid within 60 days from the date of commencement of the assessment year. The second installment has to be paid within 60 days from the date of commencement of the second half of the assessment year. Payment of property tax beyond 60 days as mentioned above will attract penal interest. 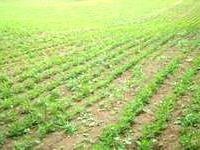 13.Use of land & kinds of crops. RTC column serial Nos. 12 & 13 contain total 16 sub columns. It shows cultivator of the land, year and tenancy details, kind of crops, details of water of growth of crops, details of water resources, average production of crops/acre and other details. 7.Date of issue of notice to the concerned parties. 3.Total extent of the property with boundaries and annual tax. 3.The details of the tax (i.e., sanitary, education, health, library, property tax, electricity tax and water tax). 4.Instead of Form 9 & Form 10, Form 1 & Form No:12 are now issued which contain similar details in respect of properties situated in the Village Panchayath area. 5.It is advisable that for peaceful possession and enjoyment of your property with an absolute, clear and marketable title, you have to get the Khatha transferred in your name immediately upon purchase. In the State of Maharashtra, the delay in payment of stamp duty after property registration will now result in the State imposing a fourfold fine on the defaulter instead of the previous twofold. Experts in registration matters said people may face a certain rise in stamp duty on property registrations, sale deeds and other agreements as the government had changed the method of calculation of stamp duty. “Instead of calculating in parts of some thousands, the stamp duty will be charged at a percentage of the total value of that property as per the new amendment”, a veteran in the sector said. The stamp duty of Rs.100/- on certain transactions such as undertakings, property agreements or administration bonds is to be increased to Rs.500/- on each such transaction. In this season of increase in costs, the relief is that now transfer of property to a blood relation will attract a very nominal stamp duty. If a person living abroad sells his property, he can pay the stamp duty on line. These measures will help the state government to earn about Rs.300 Crores. The State of Maharashtra recently introduced a Bill amending the Maharashtra Stamp Act to scrap the stamp duty on transfer of residential or agricultural property to wife, husband, son, daughter, grandson and grand-daughter.At present, the stamp duty is 5% of the market value of the property. Revenue Minister Sri Eknath Khadse, announced the relief last week, and urged t he assembly to ensure that this Bill is passed by both the Houses before the session ends so that the Citizens in the State do not have to wait long for the relief. Among other Statutory as well as Contractual obligations on the Builder, according to Consumer Protection Courts, the builder cannot raise the defence about limitation, it the builder fails to give possession notice to buyer as required by laws or under a contract. Case Law: Collin and Cheryl Paes had booked a villa at Navelim in Goa in a complex knwown as D’Silva Residency, to be developed by M/s. Homemakers. According to the Sale Agreement dated: 13/10/2008, a total amount of Rs.40.00 lakhs had to be paid for the construction and sale of the Villa admeasuring 210 Sq.M. along with proportionate undivided right on the land. The agreement provided that possession would be given within six months, which may be extended twice by grace periods of three months at a time. So the total timeframe came to 12 months.The agreement stipulated that the purchaser would have to take possession within 30 days of the builder giving a written intimation that the villa was ready for occupation. The Paes couple claimed that even though the agreed price was Rs.40.00 lakhs, they paid a total sum of Rs.63,11,870/- as demanded by the builder citing inflation, rise in construction cost, and improvements made in the villa etc. Yet the builder also kept on extending the date of possession. Finally, when the builder failed to hand over possession of the villa even upto January 31, 2014, the Paes couple had got a legal notice issued to the builder. As this too failed to evoke any response, the Paes couple filed a complaint before the Goa State Commission for Consumer Redressal. The builder contested the complaint. The builder justified his demand for the additional amount and relied on a valuation report issued by Jammu and Kashmir Bank, which showed the value of the villa to be about Rs.25.00 lakhs and the land worth Rs.35 lakhs. The builder further claimed that the villa had been undervalued in the agreement as Paes couple had made this request to avoid tax problems. The builder claimed Paes couple used to frequently pass by the Villa and were aware that it was ready by 2009 itself within the stipulated time frame. The builder further contended that he did not give possession since Mr. Paes failed to pay the entire amount. The State Consumer Redressal Commission observed that the agreement cast an obligation on the builder to give a written intimation after the villa was ready for occupation. The requirement to give the intimation would not be an empty formality, but an obligation under the termsof the agreement. Limitation would begin to run from the date of such intimation. The State Commission further held that regardless of whether or not the villa was ready in time, the cause of action would continue as the builder had failed to give the intimation about possession as required under the agreement. The State Commission also noticed that the builder had failed to respond to the legal notice.The State Commission accordingly held the builder liable to pay interest on Rs.63,11,870/- at 14.75% p.a, from the date of complaint till realization, along with compensation of Rs.25,000/- for mental trauma and costs of Rs.5,000/-. The Union Cabinet approved the amendments to the Real Estate (Regulation and Development) Bill 2013. The Bill is pending in the Rajya Sabha. The Bill paves the way for the creation of a Regulatory Authority to protect home buyers’ interests as well as to ensure accountability and transparency. With the amendments brought in, the provisions of the Bill are also applicable to Commercial real estate projects as well. Ongoing projects that have not received completion certificates will need to be registered with the Regulator within three months, as per the new Bill. The Bill further envisages setting up one or more Regulatory authorities in each State/Union Territory or one Authority for two or more States/Union Territories by the concerned Governments.Developers will be required to register their projects with the Regulatory authorities and promoters will have to disclose all the information regarding the promoters, project, layout plans, schedule of development works, land status, etc. The proposed amendments also diluted the provision that required the promoters to compulsorily deposit 70 percent of the amount collected from the consumers in a separate account in a scheduled bank within a period of 15 days to cover the cost of construction.The deposit amount will now be only 50 percent of the amount collected. The Bill provides that a promoter will need the consent of 2/3rds of the consumers of a project to change the plans/structural designs.Also, the Real Estate agents can be punished for non-compliance of the orders of Regulatory Authorities and Appellate Tribunals to be set up. It also envisages penalty for non-compliance and wrong disclosures. Regulatory authorities will also have the power to cancel the registration in case of persistent violations. One or more adjudicating Officers will be appointed to settle disputes and impose compensation and interest.Appeals against adjudicating officers and Regulatory Authority’s orders will lie with the Appellate Tribunals to be set up and final appeals will lie only with High Courts. Essentials of deposit of title deeds? 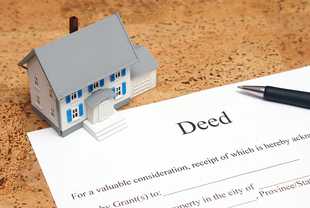 Section 58(f) of the Transfer of Property Act deals with deposit of title deeds. This is a type of recognised modes of mortgage, especially to meet the urgent financial needs. A person delivers to the creditor or his agent, documents of title of immovable property with an intention to create security for the amounts borrowed, is called deposit of title deeds. Accordingly the essentials of the deposit of title deeds are debt, deposit of title deeds and intention to create a security. In English law, deposit of title deeds is called as equitable mortgages. It is so called, because in the absence of any legally executed document, merely on basis of possession of title deeds by mortgagee, the equity would ensure the return of the money. Where the title deeds are to be delivered? The title deeds are to be delivered to the creditor or his agent at specified towns. The State Government notifies the places where the documents are to be deposited with the creditor, and documents should be deposited only in such places. The place need not necessarily be the place where property is located. Originally this facility was available only in Kolkata, Mumbai and Chennai. At present it is extended to all important commercial centres. The property might be situated in Mysore, but title deeds may be deposited in Bangalore with the creditor. The purpose of depositing the title deeds is to secure the amount borrowed. The debt may be existing or future debt or may be even borrowed earlier. One may deposit the title deeds to borrow in future also. But the determining factor is debt. What are the documents to be deposited? The title deeds of the property that is the documents, which establishes the title of the property to the owner have to be deposited with the creditor. 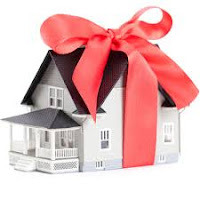 The sale deed, gift deed, partition deed great certificate are some of the documents, which establishes the title. What is meant by intention to create the security? The borrower should have intention, that is willingness to create a security to the amount borrowed against the property. That intention is very important, mere holding of the documents is not sufficient but must be supported by bonafide intention. Is it necessary to obtain any letter about deposit of title deeds? As per the Transfer of Property Act, there is no need to have any written document witnessing the deposit. But to be practical, to establish the intention it is always advisable to reduce the deposit in writing. The borrower may deliver the documents with a covering letter. Whether this mode of mortgage attracts Stamp Duty and Registration? As the deposit may be made orally it does not attract Stamp Duty and Registration. Even the covering letter, which merely records the intention of the party and deposit, does not attract any Stamp Duty and Registration. But if such letter contain references to any terms of contract; amount of loan, rate of interest, repayment period etc., it attracts Stamp Duty and Registration. It should always be noted that the date of deposit should not coincide with date of loan. However many States have made the Registration of Covering letter compulsory. What remedy is available in case of failure of the borrower to repay? The remedy available is by enforcing a decree for sale of the mortgaged property by suit. Such suit should be filed within 12 years from the date on which money becomes due. This is a very important right of the mortgagor, which the law protects. Generally law stands in favor of the weaker party and mortgagor being debtor; law safeguards his right. Section 60 of Transfer of Property act deals with Right of Redemption which is a right available to mortgagor to get back the (redeem) the property mortgaged that is after any time, the principal amount has become due, on payment of all the dues. The mortgager may demand from the mortgagee, the mortgage deed, all the documents, and if the property had been delivered, to deliver the possession of the property. The entire cost of this process to be borne by the mortgagor. He may also direct the mortgagee to deliver the deed; documents, possession of the property so any third person. If the mortgage has been effected by registered document, the redemption or re-conveyance deed also need to be registered. This right of redemption is available before the mortgagee files a suit for enforcement of mortgage. Whether partial redemption is allowed? The mortgage is indivisible Section 60 of the Transfer of property act does not allow partial redemption, one of the mortgagors cannot redeem part of the mortgaged property by paying the proportionate amount. If redeemed, the entire property has to redeemed. The only exception is that if the mortgagee is a creditor himself and is responsible for breaking the integrity of the mortgage by allowing the co-mortgagor to redeem partially or when he acquires the interest of one of the co-mortgagors. What is clog on redemption? Clog means obstruction. A mortgagor has the right to enjoy hold of the property as he was entitled before the mortgage. If that right is prevented/restricted, such conditions are called clogs. A term/condition in a mortgage transaction is treated as clog, if it is unreasonable. This is a right available to the mortgagee. The relevant section is 67 of Transfer of property act. This right can be exercised if there are no contrary conditions in the mortgage deed and after the mortgaged money has become due and before the mortgagor gets decree of redemption, or mortgaged money has been paid, deposited. In simple terms the right can be enforced on failure of the mortgagor to repay the money borrowed on due date. The mortgagee may obtain a decree from the court, that the mortgagor is prohibited from right to redeem the property or property be sold. This is suit for foreclosure. However the remedy depends upon the nature of the mortgage. 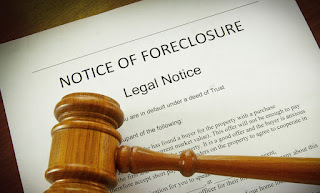 In the simple mortgage the foreclosure is not available. Remedy is either proceed against the mortgagor personally or per sale of the property mortgaged, so also in care of Usufructuary mortgage, where the mortgagee is in possession of the property and continues to be so until the debris repaid on full. In case of conditional sale, the mortgagee matures into sale on the failure of the payment of the debt, so the mortgage may foreclosure depriving the right of redemption. In English mortgage they may bring a suit for sale of the property. In case of mortgage by deposit of titles deeds. The remedy is sued for personal decrees or for sale of the property.In anomalous mortgage, the remedy depends upon the terms of mortgage. Immovable property can be transferred by way of Sale, Will, Gift, Release, Settlement,Partition Deed, and Exchange or otherwise. After such a transfer, it is necessary to make entries in the revenue records on production of the relevant documents to the concerned Revenue Authority. Immediately upon registration of the conveyance document with the concerned Sub-Registrar, you will not get absolute ownership details in their records in respect of the property. Upon verification of the documents made available to them for transfer of Khatha in your name along with the prescribed fees, the concerned Revenue Authorities will make necessary entries in their records indicating the ownership of the properties in your name. Copies of these documents are supplied to you upon payments of prescribed charges. You will also have to pay property tax to the concerned Authority regularly. These documents are called in different names at different places such as; Khatha Certificate, Khatha Extract, Khatha Endorsement, Phani, Chitti or Adangal. It may be noted that the Title Deed is the document through which a person derives a title or ownership of the property and Khatha Certificate and Khatha Extract only authenticate such ownership. They are supporting documents to the Title deed. The records maintained by the Revenue Authority shall contain details of property such as size of the plot, location, built up area and so on with a view to arrive at the exact quantum of property tax payable by you as per norms prescribed. These documents are also used for identification of the person, who is primarily liable for payment of property tax. Property tax is a charge arrived at upon consideration of the size and usage of the property and all the property Owners are duty bound to pay Property Tax regularly. 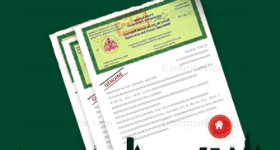 The Khatha Certificate is one of the essential documents required to be produced for obtaining building license, trade license or for obtaining loans from Banks and other Financial Institutions. Even if you want to sell your property, you will have to produce compulsorily copies of the revenue records viz., Khatha Certificate, Khatha Extract and the latest tax paid receipt at the time of Registration of Sale Deed in the Jurisdictional Sub-Registrar’s Office, Khatha Extract would give an account of assessment of a property for payment of property tax. Only property Owners can apply for Khatha Certificate upon payment of up-to-date property tax and the prescribed fee. However, the Khatha Extract can be applied by anybody, upon payment of requisite fees per property for one extract. The Khatha Certificate and extract can be applied at the Office of the Jurisdictional Asst. Revenue Offices or at any computerised counter established by the Bangalore Mahanagara Palike. Whenever, the title documents are not furnished to the concerned Revenue Authority and the property with super structure is in possession of an Occupant, the property will be assessed to property tax registering khatedhar as ‘Holder’ to protect the interests of the Corporation Revenue. This Holder Khatha will be regularised on the production of Title Deeds and on payment of improvement charges. General Power of Attorney (GPA) Holders of a property with super structure thereon can also apply for Khatha in their name, where the Khatha will be registered as ‘Holder’ and taxes will be collected from such GPA Holders. Applications for Khatha Registration may be filed in Asst. Revenue Office along with documents mentioned in the Sarala Khatha Scheme Book. Documents inter alia include Sale Deed, Mother Deed, Encumbrance Certificate, National Savings Certificate and sketch showing the site details, along with the mandatory fees of two percent of Stamp Duty paid on the Conveyance Deed and betterment charges, wherever applicable. When a property is divided into two or more parts, there is bifurcation and when there is merger of one or more properties together there is clubbing. A modified Khatha has to be obtained in both the cases.